Must we really get more state school students into Oxbridge? There’s been a gathering focus by the UK progressive media on the unfairness of Oxbridge acceptance. Eight schools supply more than half of all Oxbridge undergraduates. Guardian columnist Owen Jones argues passionately that there should be more state school students at Oxbridge. It’s clearly unfair that Eton, Harrow and Westminster alumni are practically guaranteed a place at Oxford or (at worst) Cambridge, while the strongest students from state schools, even those with four A grade A-Levels, find it almost impossible to get a place. But something seems to get lost in this discussion. It’s this: The current UK prime minster (and her husband) and her Chancellor and the Cabinet Secretary and the President of The UK Supreme Court and the Governor of the Bank of England and the Governor of the BBC and the Commissioner of the Metropolitan Police all attended Oxford or Cambridge. The current Chief of the General Staff, the head of the UK army, only made it to Durham but he went to Eton. The greatest British entertainers come out of Oxbridge: John Cleese, Kenneth Branaugh, Stephen Fry, Ian Hislop. To become a senior figure in the UK, someone with genuine influence and power, there is practically no course to take other than attend one of the two universities. This also goes for progressive journalists lucky enough to be able to write to such a huge audience through the mainstream newspapers – Owen Jones himself is an Oxford man. Since they themselves were beneficiaries of the might of Oxford and Cambridge, it is no wonder they are not knocking it – they are just saying that more state school kids should get to go. What does that actually imply, though? The mainstream progressive argument is simply about how the system is rigged against state school students, no matter how bright they are, so it’s unfair and wasteful. There is no chance for social mobility. The social mobility argument is never really examined closely, however. What exactly is the desired outcome? If equality of opportunity is the driving motive then state school quotas for Oxbridge would result in more state school students having the opportunity, that’s true, but it wouldn’t result in more students from other universities reaching positions of influence and power. If anything it would further consolidate power. In fact, if Oxbridge became more meritocratic than it is then that would increase its stranglehold on the nation and weaken the other ‘universities’. Also, if social mobility is the aim then it would seem more effective to try to reduce the influence of Oxbridge on the nation rather than bigging it up as the panacea for all social ills. I think what progressive journalists like Owen Jones are really saying is that they would like to see more people like themselves in positions of influence. If there were more state school local guys and gals in these positions then perhaps it would be a more progressive world. But by Jones’s own description, it doesn’t work like that. Oxbridge and the UK elite is a club. It’s George Carlin’s club “and you ain’t in!” John Lennon wrote “there’s room at the top they are telling you still.” But there isn’t. 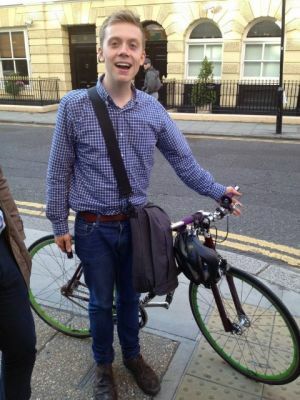 Owen Jones wasn’t made to feel welcome at Oxford. Going from state school to Oxford doesn’t make you part of that club – it’s not social mobility. Owen Jones’s mother was a lecturer and his father a councillor. Owen writes a column for the Guardian. I don’t see a huge amount of social mobility there. Those Oxbridge alumni listed above don’t only have Oxbridge in common– they also have Westminster, Harrow or Eton in common. They have aristocratic connection in common. Privilege and the opportunity to rise to positions of genuine influence and power begin at birth not at the age of eighteen after you get good A-Level results. That would happen in a society which is meritocratic and offers genuine equality of opportunity. UK society is not like that, not at all. Proof of that is not that eight schools supply most of Oxford’s undergraduates. Proof of that is that eight schools and two universities provide all of the UK’s most powerful and influential people. Previous Ask children this question: Do you want to be a student?